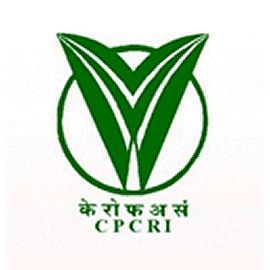 CPCRI Recruitment 2019: ICAR - Central Plantation Crops Research Institute / www.cpcri.gov.in is conducting recruitment processes to fill 9 vacancies. As of now, there are five recruitment drives going on for Walk in for Research Fellow Post, Walk in for Project Assistant Post and others. CPCRI Recruitment 2019 - Walk in for Research Fellow Post on a project entitled "Pest and disease surveillance on coconut palms by unmanned aerial vehicle" in CPCRI, Kasaragod, Kerala on Contract Basis. Candidates are invited by ICAR - Central Plantation Crops Research Institute to attend walk-in-interview to be held on 09 May 2019 09:00 AM for 1 vacancy. CPCRI Recruitment 2019 - Walk in for Project Assistant Post on a project entitled "Design Fabrication and field demonstration of a Neera (Kalparasa) collection device" in CPCRI, Kasargod, Kerala on Contract Basis. Candidates are invited by ICAR - Central Plantation Crops Research Institute to attend walk-in-interview to be held on 06 May 2019 at 09:30 AM for 1 vacancy. CPCRI Recruitment 2019 - Walk in for Skilled Nursery Assistant Post on a project entitled "Seed production in Agricultural Crops and Fisheries (RFS)" in CPCRI, Kasargod, Kerala on Contract Basis. Candidates are invited by ICAR - Central Plantation Crops Research Institute to attend walk-in-interview to be held on 03 May 2019 at 09:30 AM for 1 vacancy. CPCRI Recruitment 2019 - Walk in for Project Executive & Field Assistant Posts on a project entitled "Production and distribution of Dwarf/semi tall varieties programme of the Department of Agriculture" in CPCRI, Kasargod, Kerala on Contract Basis. Candidates are invited by ICAR - Central Plantation Crops Research Institute to attend walk-in-interview to be held on 02 & 03 May 2019 at 09:30 AM for 4 vacancies. CPCRI Recruitment 2019 - Job notification for Upper Division Clerk Posts in CPCRI, Kayamkulam, Kerala on Deputation Basis. Applications are invited by ICAR - Central Plantation Crops Research Institute on or before 21 Apr 2019 for 2 vacancies. CPCRI Recruitment 2019 - Walk in for Young Professional Post on a project entitled "National Innovations in Climate Resilient Agriculture" in CPCRI, Alappuzha, Kerala on Contract Basis. Candidates are invited by ICAR - Central Plantation Crops Research Institute to attend walk-in-interview to be held on 07 Jan 2019 at 09:30 AM for 1 vacancy. CPCRI Recruitment 2018 - Walk in for Skilled Nursery Assistant & Skilled Assistant Posts on a project entitled "Seed Production in Agricultural Crops and Fisheries" in CPCRI, Kerala, Kasargod on Contract Basis. Candidates are invited by ICAR - Central Plantation Crops Research Institute to attend walk-in-interview to be held on 17 & 18 Dec 2018 at 09:30 AM for 4 vacancies. CPCRI Recruitment 2018 - Walk in for Project Executive, Project Fellow, Field Asstt Posts in CPCRI, Kerala on Contract Basis. Candidates are invited by ICAR - Central Plantation Crops Research Institute to attend walk-in-interview to be held on 17 & 18 Dec 2018 at 09:30 AM for 7 vacancies. CPCRI Recruitment 2018 - Walk in for Young Professional II Posts in CPCRI, Kerala on Contract Basis. Candidates are invited by ICAR - Central Plantation Crops Research Institute to attend walk-in-Written Test and Interview to be held on 24 & 25 Sep 2018 at 09:30 AM for 2 vacancies. CPCRI Recruitment 2018 - Walk in for Field Assistant Post on a project entitled "Participatory Demonstration Plots on Arecanut Based Multi Spices Cropping System" in CPCRI, Karnataka. Candidates are invited by ICAR - Central Plantation Crops Research Institute to attend walk-in-Written test and interview to be held on 04 Oct 2018 at 10:00 AM for 1 vacancy.